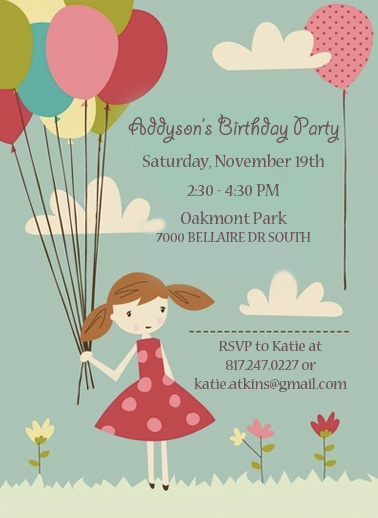 Birthday party is coming up! So Addyson is going to turn 5 in 9 days!! OMG!! WOW I can’t believe it! Well we’re having a big party at a local park here in Fort Worth and we’ve invited her whole class (13 people) plus a few other friends too! & Presents but I’m at a loss if I should provide other things too…thoughts?